While CES 2016 may have been dominated by the release of ground-breaking concepts by the world’s leading automotive brands, there were a number of other innovations that caught the consumer’s eye. Take the showcase by Alcatel OneTouch, for example, which included a range of new and innovative products ranging from smartphones to GPS-powered smart watches. In fact, Alcatel made the most of their opportunity to appear at the event, promoting their presence heavily while also relating product details and specifications ahead of time. There were also one or two surprising additions to the line-up, some of which may hint at future trends in the market. One product that definitely caught the consumers’ attention was an as yet unnamed 8-inch PIXI 3 tablet, which is unique in that it will run off Windows 10 rather than Android. This highlights the flexibility and diversity of the new Windows 10 operating system, while it may also offer a glimpse into a future where telecom brands have greater choice when powering their devices. While this was just a pre-announcement that lacked any form of official specification, the premise was enough to serve as an exciting talking point for tech fans. According to Mashable, this tablet is expected to include a voice-call enablement feature, along with fully functional GPS capability and two high resolution cameras. It is also expected to come with a Qualcomm chipset, which would ensure that the device boasted 4G network compatibility nationwide. In terms of brand new innovation, this tablet may also be used as remote control for your television once it has been synced with a selected device. If this tablet comes to the market with the aforementioned specification, it is likely to be sold as a general purpose device that is positioned at the affordable end of the spectrum. Ideal for gaming experiences such as the Thunderstruck 2 slot and also capable of making voice calls, it will offer huge functionality within a compact, simple and affordable design. The same can be said for all of the new products showcased by Alcatel OneTouch, which are highly evolved and targeted at the mass market. 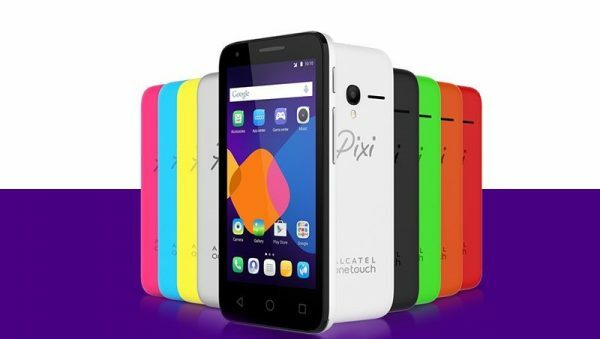 Customers’ should also look out for the PIXI 4 family line of Android smartphones, which will be made available in 3.5, 4 and 6-inch models that offer huge choice. The CareTime Children’s smartwatch has also intrigued technology experts, as it is one of the first products of its type designed for and marketed at youngsters. Featuring GPS tracking device that provides access and peace of mind to parents, it is already being heralded as a ground-breaking that could enjoy huge success in the market. While Alcatel OneTouch was joined by some of technology’s leading players at the CES 2016 expose, the brand managed to distinguish itself with a broad, unique and ultimately accessible range of products. If these make it all the way to the market, Alcatel OneTouch may be poised for a memorable and profitable 2016.